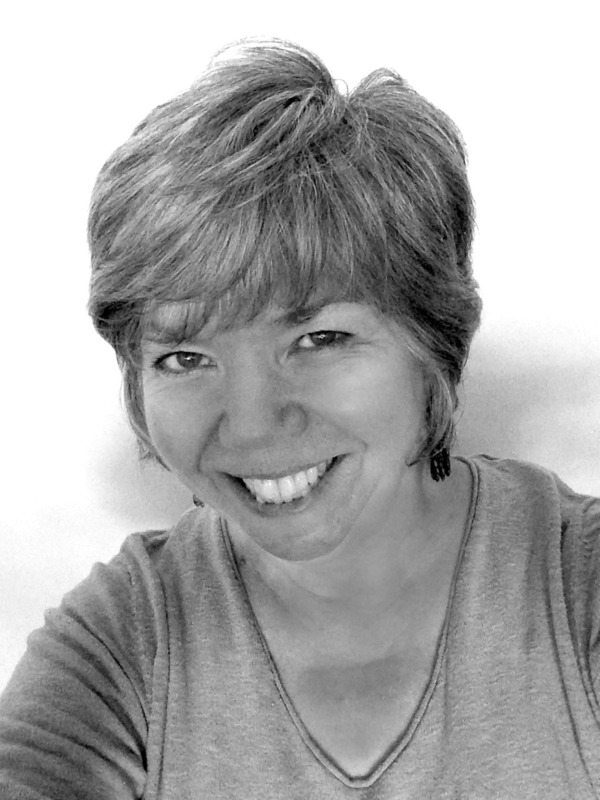 February began with a lot of Koolapopper, Sandra Strait's new tangle. 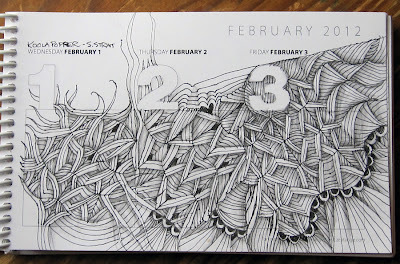 It 'popped' up at the exact time I wanted to begin my daily tangle on the calendar, so I gave it a whirl. The instructions are easy, although I found that I needed to look at the steps each time I did it, as I'm not one to retain the steps when I'm in the groove of drawing the actual lines. It was tons of fun, and I added lines after the basic pattern was put down, sending my brain into all sorts of fun little what ifs, especially when it comes to interconnecting between string sections. I couldn't stop doing this so I did the whole page with this tangle. I also added one I call Footlites at the bottom. The steps to this one haven't been published, so this seems like as good a time as any. Thanks, Sandra for a really fun three days!!! 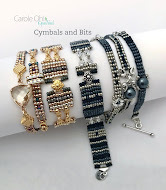 Cool new tangle, Carole. 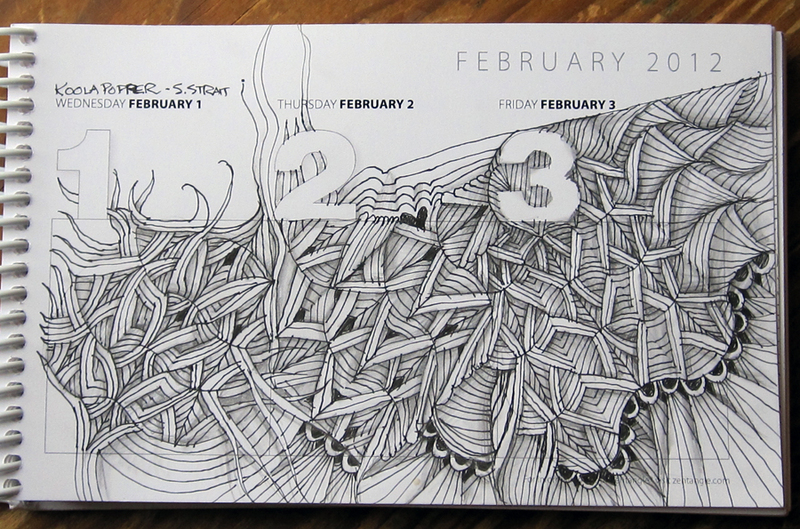 I'm really enjoying what everyone is doing with your wonderful Zentangle calendar too. reminds me of carrots growing in the garden! Thanks, Carole. I love it! I have seen this 'out there' and wondered what it was. Thanks! I love the dimension that it adds.